(Augusta, GA) – The 2012 Augusta interfaith celebration of the birthday and historic accomplishments of civil rights leader Rev. Dr. Martin Luther King, Jr. is Thursday, January 12 at Reid Memorial Presbyterian Church in the city’s hill area. The keynote speaker is from Dr. King’s home church. Keynoting the interfaith event is the Rev. Dr. Raphael Gamaliel Warnock of the Ebenezer Baptist Church of Atlanta. Ebenezer Baptist is the home church of Rev. 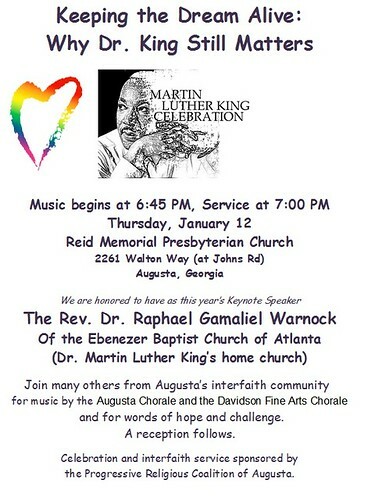 Dr. Martin Luther King, Jr.
Music will be provided by the Augusta Chorale and the Davidson Fine Arts Chorale. Music for the MLK memorial begins at 6:45 p.m. and the service is at 7 p.m. The MLK celebration and interfaith service is sponsored by the Progressive Religious Coalition of Augusta. MLK birthday is January 15. 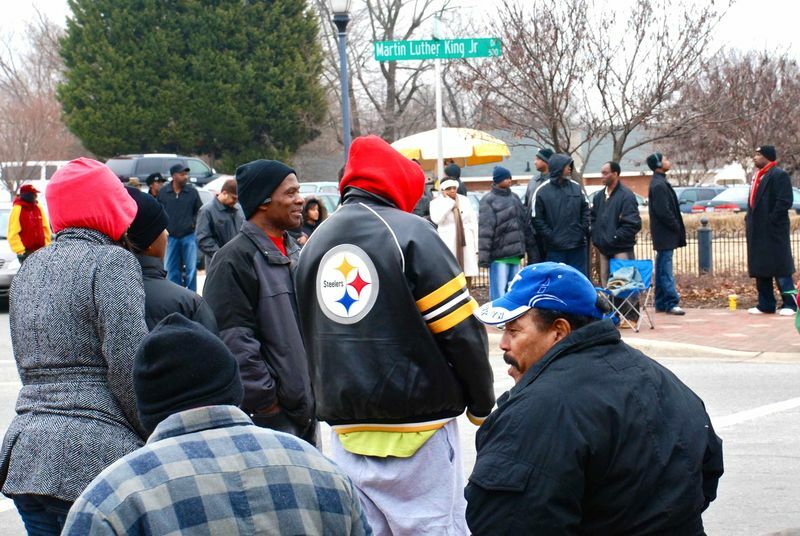 The 2012 MLK federal holiday is Mon., Jan. 16.